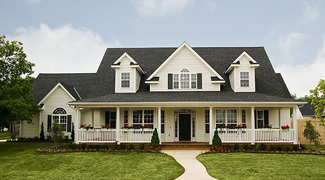 Total Living: 2,693 sq. 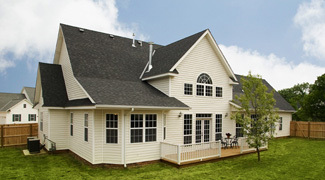 ft.
A full-length covered porch and central gable dormer flanked by two smaller dormers add farmhouse flair to this spacious plan. 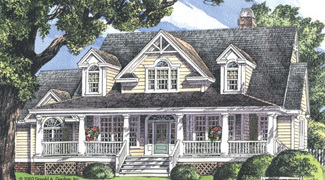 Arch-topped transoms and a bay window add distinction to the rear of the home. 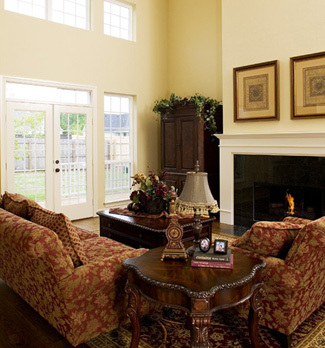 The two-story great room features a fireplace and large French doors leading to the deck.